Tad & Lauren hold a special place in our hearts. God has really blessed us with some amazing Sweetheart couples who become friends and stay in touch long after the wedding day. But Tad & Lauren are different, because we were friends long before the wedding was even a thought. Lauren has been a part of the small group we lead through our church for almost 4 years now. She’s known our daughters since they were toddlers, and we consider her one of our close friends here in Waco. When Lauren started dating Tad and talking to us about him, we knew this was special. We knew this could be it. We even had conversations together, wondering not if but when Tad & Lauren were going to get married. So when Lauren texted me one night and told me she needed to tell me something, I wondered if this was it. And it was! We were so happy and excited for them! And then when they began planning their wedding and asked us to be their photographers, we were so honored to be a small part of their wedding story. Tad & Lauren had a short engagement (about 2 ½ months!) 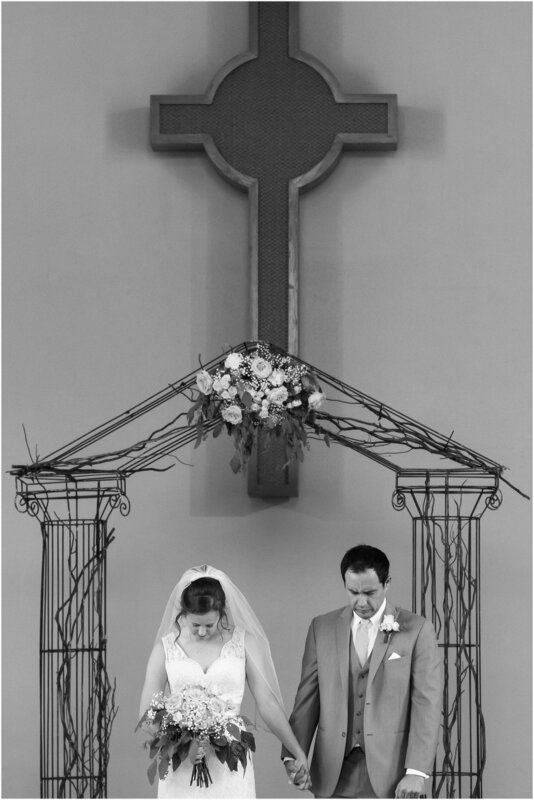 but still were able to make a wedding that fully represented them as a couple. 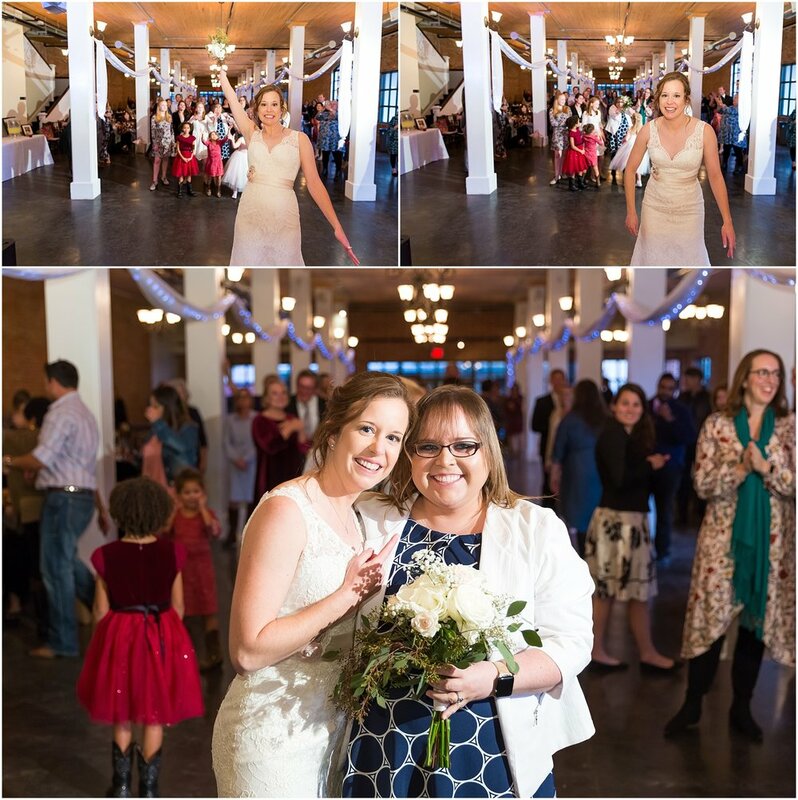 Lauren chose to wear her sister’s wedding dress as her own, a sweet sentimental detail to show her connection to her family. 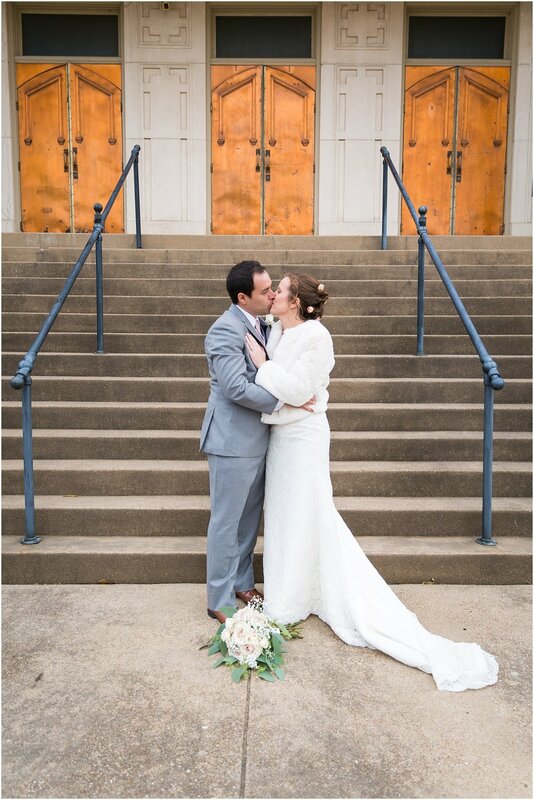 Tad & Lauren chose The Chapel at Meyer Center in downtown Waco as their venue. It was the perfect location for the intimate wedding with close family and friends they planned for Thanksgiving weekend. And the afternoon sunlight through the large windows lit the ceremony beautifully! 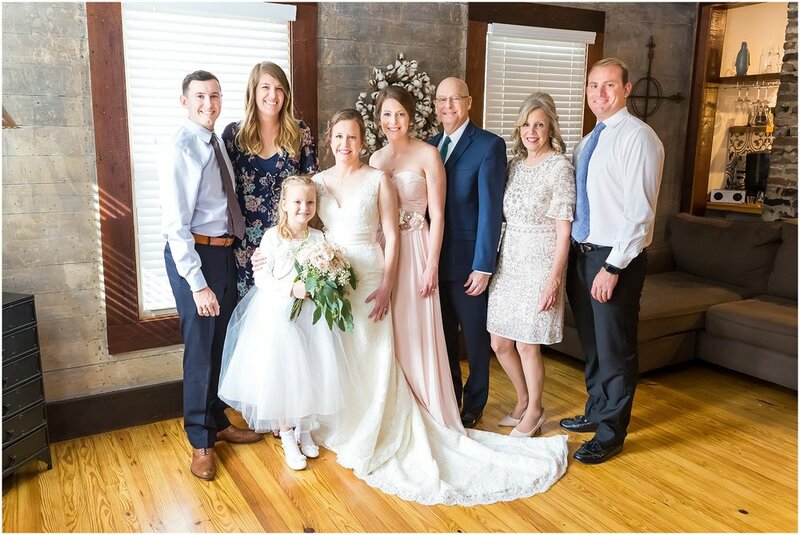 Continuing the intimate wedding day feel, Tad & Lauren kept their wedding party to her sister, his brother, his son and one of Lauren’s close cousins. After their afternoon ceremony, everyone headed a few blocks over to The Palladium for a fun reception! Guest enjoyed a coffee and ice cream bar from Common Grounds and Heritage Creamery, a tasty hors d’oeuvres spread by Kathy Thorman of Before I Do, and delicious cake by Kakes by Kat. There was dancing, and fun at the photo booth. And after running through a tunnel of ribbons, the couple drove away to their honeymoon in Lauren’s family’s classic red truck! 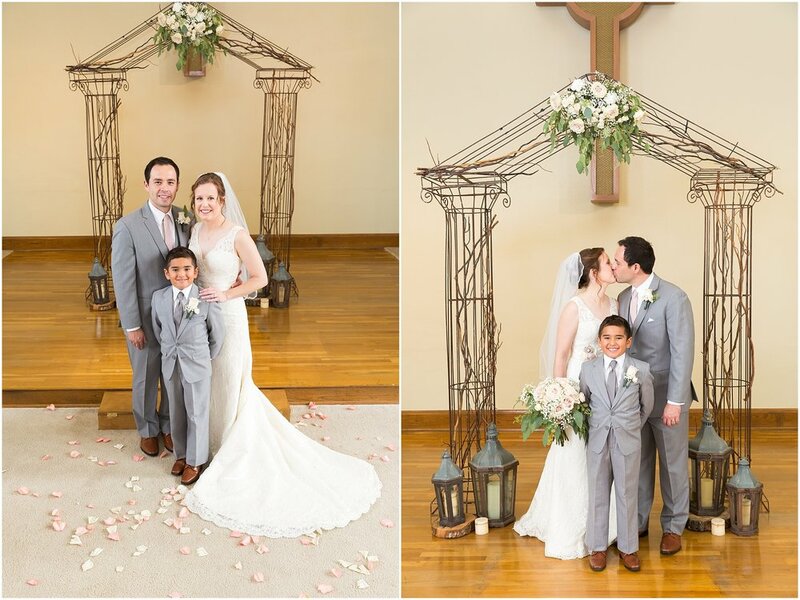 There are moments at every wedding that are special, but knowing these Sweethearts personally made them even more significant. Watching Tad & Lauren see each other for the first time was sweet, but knowing how much they have prayed for one another, even before knowing each other, made it such a joyous moment. Also, for over a year our small group has been praying for Lauren’s dad, who underwent a successful lung transplant for his health. So to see him walk Lauren down the aisle, and dance with her during the reception, was more than sweet moments between a father and his daughter. They were moments that spoke to the power of prayer and brought thankful tears for the blessing these small moments truly were for Lauren. And taking pictures of Tad & Lauren, with Tad’s son, seeing their little family together, reminded us how God weaves together people’s lives to create beautiful futures. 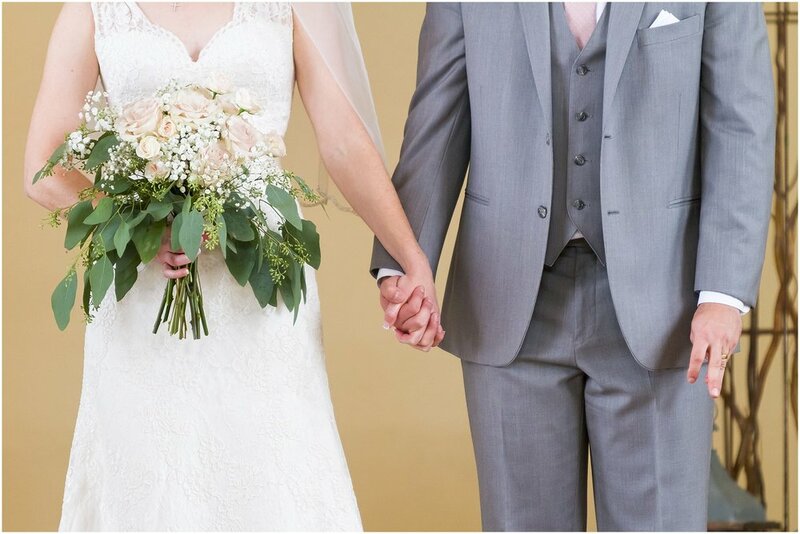 Tad & Lauren’s Sunday wedding was a beautiful chapter in these Sweethearts love story. And we can’t wait to see where the next chapter takes them! Y’all are married!!! We continue to pray blessings on your relationship as you move into married life together. We were honored you wanted us photograph your wedding day, but even more honored to call you friends. 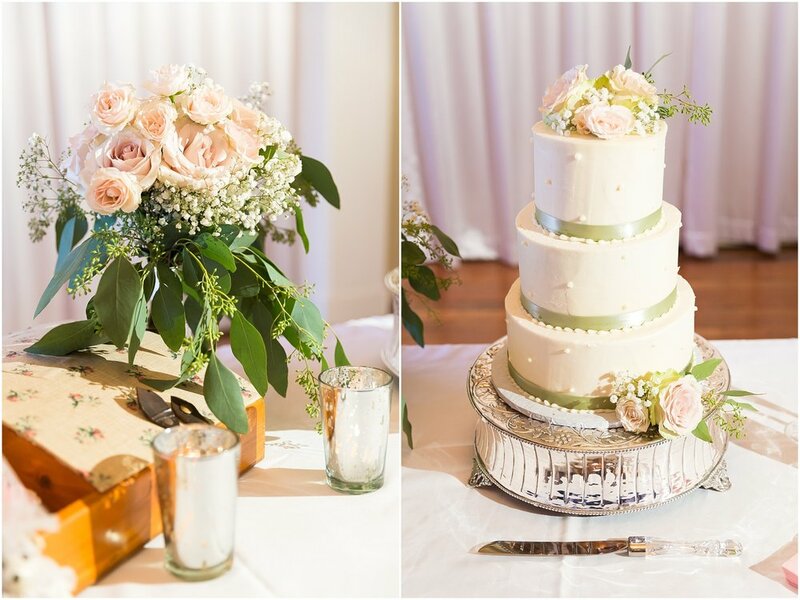 Check out some of our other recent J&M Wedding stories on the blog below! Austin & Andie’s love story has all the makings for a romantic movie. And not because their story is unbelievable. But because their story proves real life, forever love can be found in everyday life. Both Austin & Andie are actively involved in their church’s young adult ministry here in Waco. Andie had noticed Austin around church and was interested in getting to know him more. Austin wanted to connect with more friends in the area, and began hanging out with the group from church. Andie is a teacher for deaf students in Waco, and one day Austin, a elementary PE teacher, subbed at her school. She introduced herself to him during lunch and after that they began connecting more every time the group from church was together. Before long, these two Sweethearts were dating and proved friends-that-turn-into-partners are the best. After a few months of dating, Austin knew Andie was the one for him. So he planned one of the most romantic proposals we’ve ever heard. He knew Andie was very close with her family, and wanted them to be a part of this special moment. So while celebrating Christmas with Andie’s family on Christmas Eve, Austin proposed to Andie in her family’s home with her parents and siblings there. And what’s more, Austin learned how to say what he wanted to say to Andie in ASL, and proposed to Andie using sign language. How romantic and perfect! Of course, Andie said yes! Which brings us to this past week, when we meet these two Sweethearts in Cameron Park. 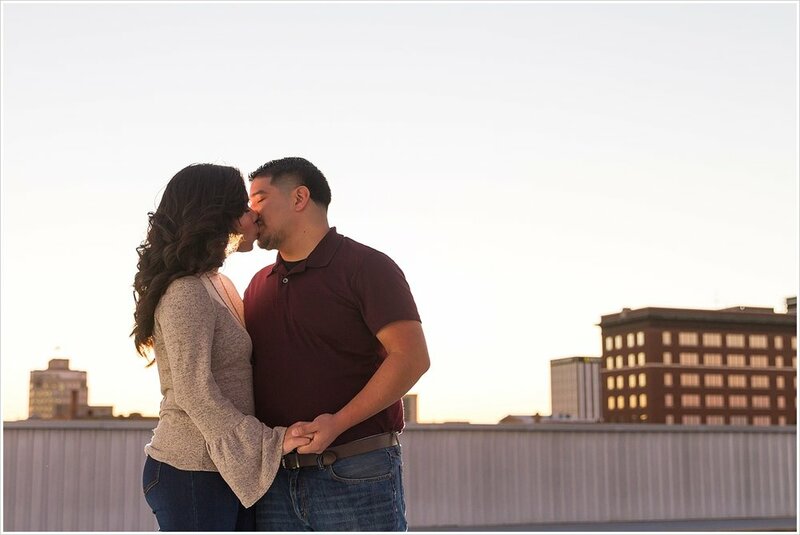 With all our J&M Sweetheart couples we really seek to photograph their engagement session in locations that are meaningful to their love story. We do this so years later they can show their grandchildren these portraits and tell them the meaning behind the pretty pictures. Austin & Andie picked Cameron Park in Waco, Texas as their engagement session location because it’s been the spot of so many of their dates throughout their relationship. A perfect day for them would be hiking in Cameron Park, then grabbing food and watching a movie together. 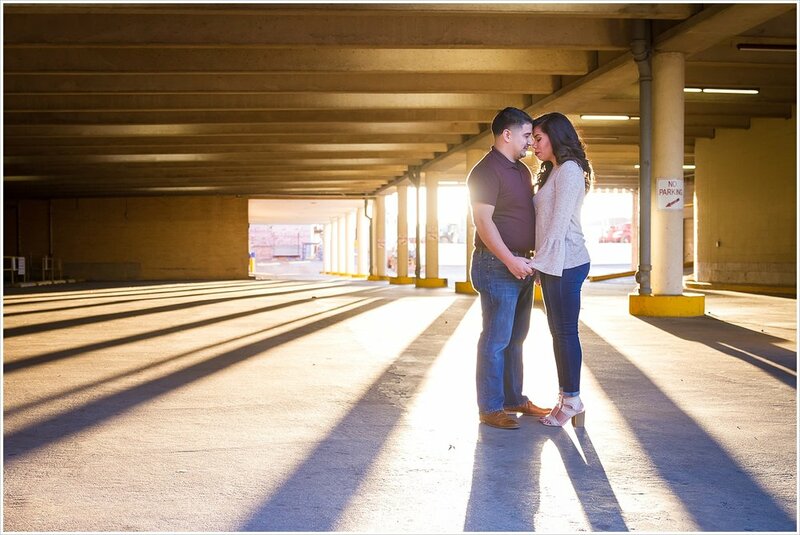 So we knew Cameron Park had to be part of their engagement session! When talking with Andie about the session she mentioned a particular overlook of the Bosque River she and Austin went to on their second date. When she said this, we got excited! See, Melaina had found an overlook near the area Andie had mentioned one day when she was hiking with a friend. 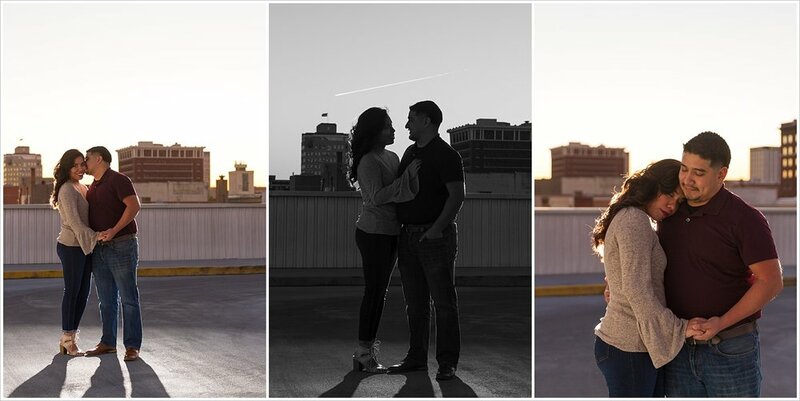 She told Jason about how it would make for such beautiful engagement pictures. But there was a catch, there was a pretty rocky and steep hike down to it, and she wasn’t sure if a bride-to-be in a dress and heels would be willing to jump down the rocks to get there. So when we met Austin & Andie in Cameron Park, and Andie changed into tennis shoes, we got our hopes up. And sure enough, as we reached the end of the trail with Austin & Andie as our guides, we realized it WAS the spot Melaina had found earlier. YAY for brides who rock heels in their engagement sessions but bring tennis shoes to hike down to amazing locations! We loved hanging out with these two Sweethearts, exploring different parts of Cameron Park. 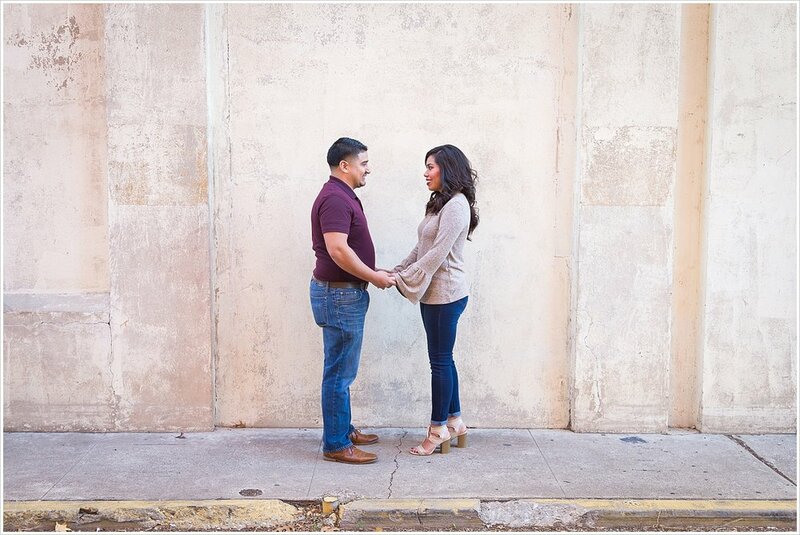 From scenic overlooks, to sunset drenched roadsides, to the cliffs of Brazos Park East, Cameron Park gave us some amazing spots for this session. But what truly made this session was the obvious love Austin & Andie had for one another, that showed through in every single portrait. Serioulsy, romantic movie worthy, yall. Your love story is the epitome of #relationshipgoals! And we pray the foundation you are building now for your marriage will make the many years ahead of y’all the definition of #marriagegoals! We had a blast with y’all in Cameron Park, and can’t wait to be with you this summer for your wedding day!